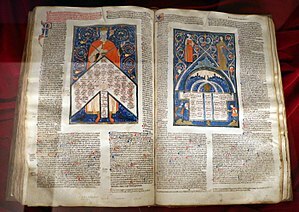 The Decretals of Gregory IX , also collectively called the Liber extra, are an important source of medieval Canon Law. In 1230, Pope Gregory IX ordered his chaplain and confessor, St. Raymond of Peñaforte , a Dominican, to form a new canonical collection destined to replace all former collections. It has been said that the pope by this measure wished especially to emphasize his power over the Universal Church. The Decretals of Gregory IX (Latin, Decretales Gregorii IX), also collectively called the Liber extra, are an important source of medieval Canon Law. In 1230, Pope Gregory IX ordered his chaplain and confessor, St. Raymond of Peñaforte (Pennafort), a Dominican, to form a new canonical collection destined to replace all former collections. It has been said that the pope by this measure wished especially to emphasize his power over the Universal Church.